Using tiger face paint for your costume is very cool. 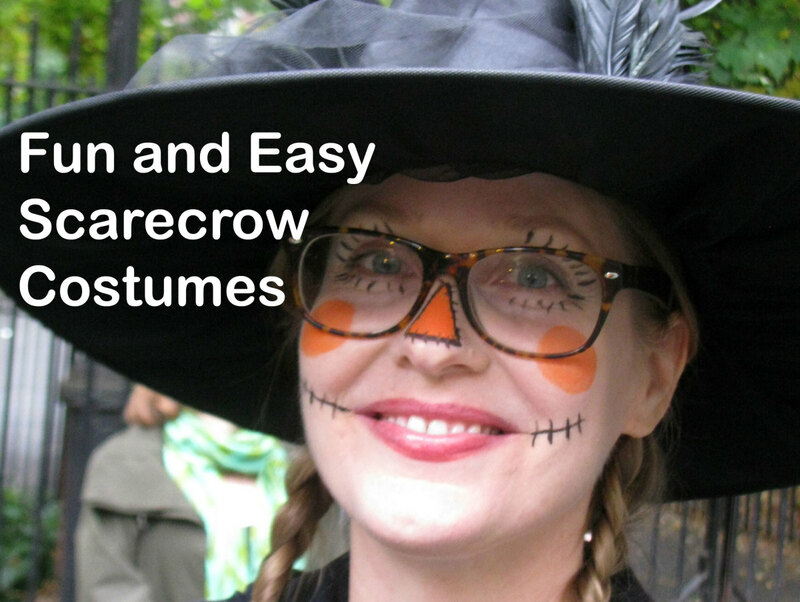 People of all ages enjoy dressing up as this distinctive animal; men enjoy a chance to show their ferocious side, and ladies like to channel their inner feline. 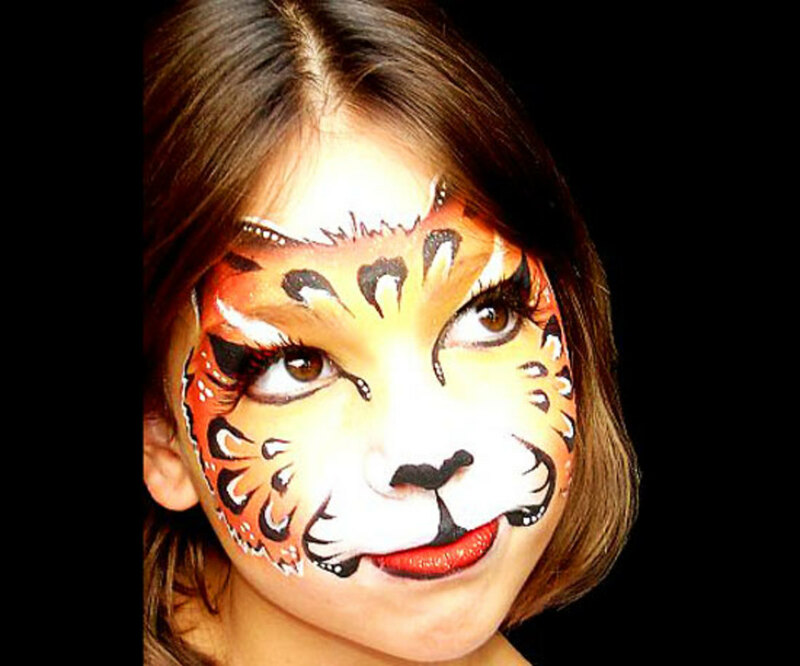 Tigers are the largest of all cats, and their distinctive markings, color, and mystique make them an awesome choice to generate some great tiger faces and body painting designs. 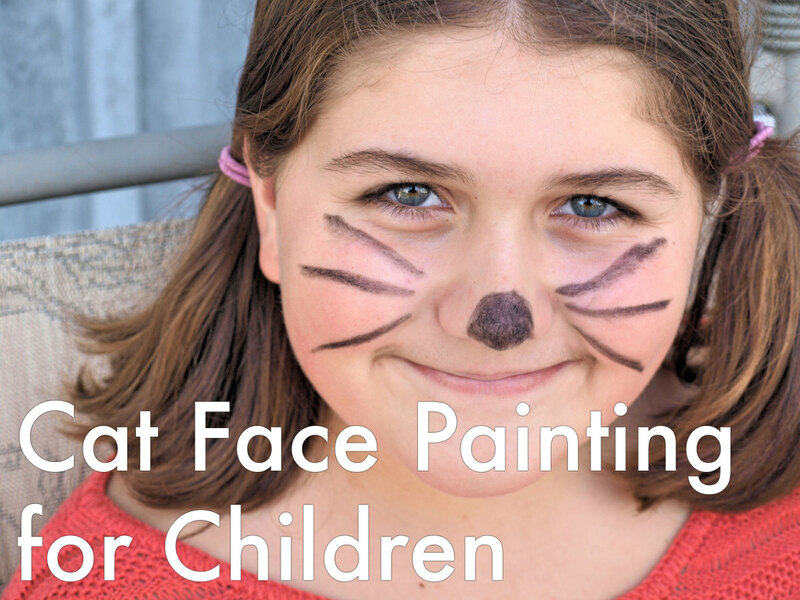 Color and patterning differentiate tiger makeup from house cat makeup. Most tigers are orange with distinctive black lines, though some tigers are white. 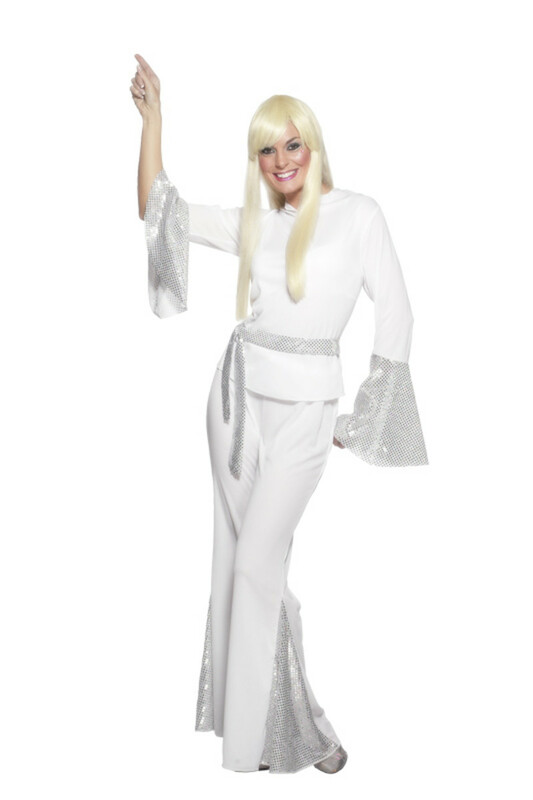 Of course, the costume doesn’t have to end at the face paint. 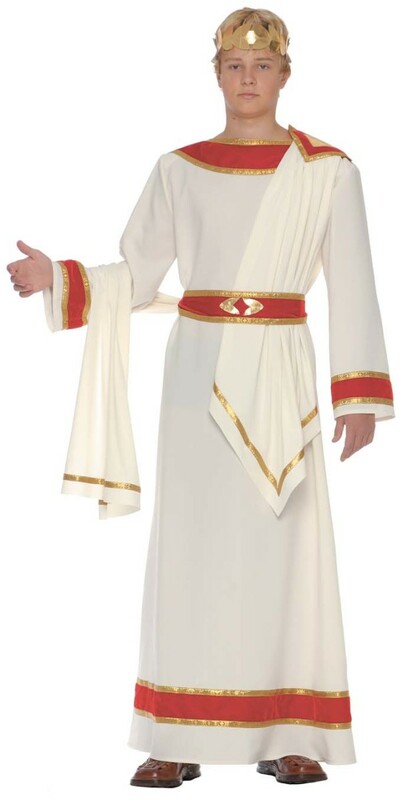 There are accessories and outfits you can acquire, and some extend the makeup to include tiger stripes and orange color on their arms and legs. It looks very nice, as you'll see. Another tip for a tiger costume look is to wear a striped shirt similar to the one below. 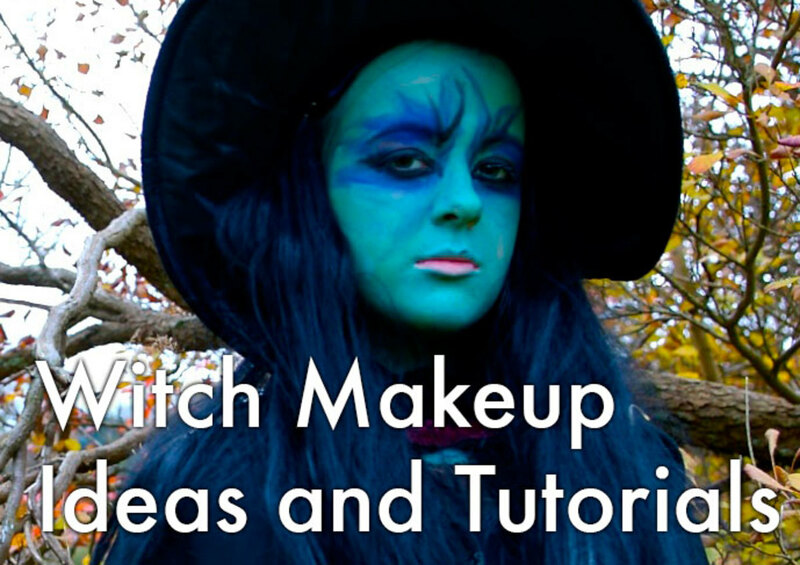 It looks pretty cool and works great if you're making yourself up for Halloween and want to stay warm. 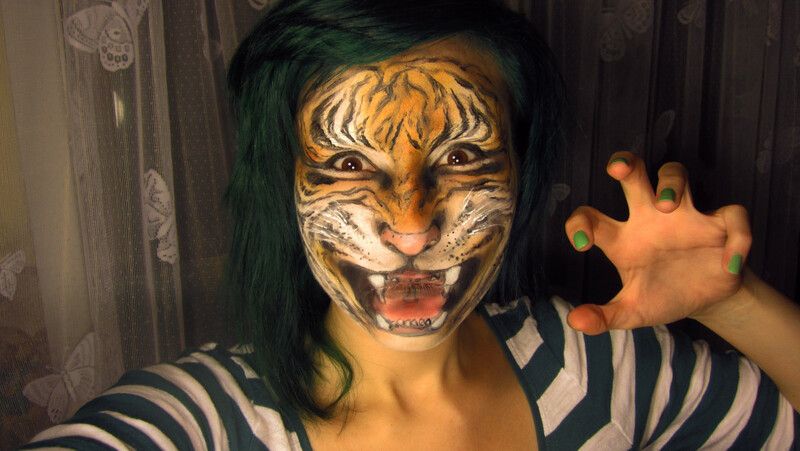 You can see here a way to apply the tiger makeup to create a mask effect. When I first looked at this photo I wondered why she left her forehead bare. Then I realized it was because her goal was to look as though she were wearing a mask, not as though her face belonged to a tiger. That also explains the overall way the makeup is applied in the circular fashion around the face, leaving the edges bare. This is an awesome choice. It looks fantastic, and offers creative possibilities because you can include unique and interesting features that you wouldn't or couldn't when designing a “realistic” tiger face look. Great job. This is a really well done tiger face that gives an example of what it looks like when dressed in a costume. It's a nice look. When you first see the tiger makeup, you get the feeling that you're looking at a mask. It's actually not the case, but the effect is created by open area around they eyes, which are devoid of liner. 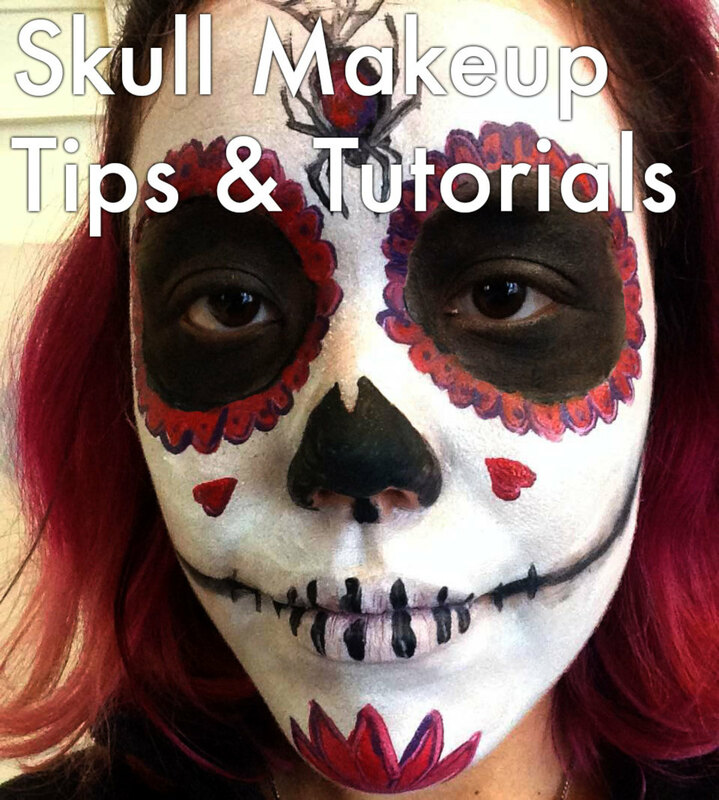 The skin showing around the eyes leaves a sense that it is a mask instead of makeup and paint. 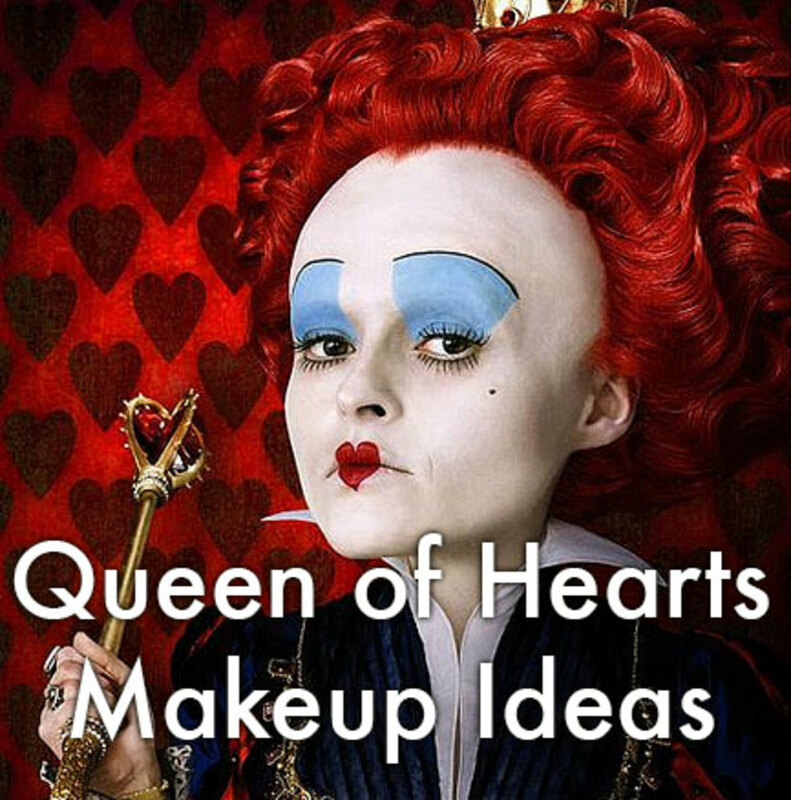 It's a good example of missing a little part of the face with the makeup which results in that being the look. There's nothing wrong with it; I just don't think that was the purpose of the person creating the design. Interestingly, it would have been a pretty great effect if that was the purpose. But the lack of liner, along with the rest of the tiger face, makes me believe it's an oversight. It also makes me think that this is a guy here, who possibly may have also applied the makeup, or maybe had another guy do it. It's a good job with an unusual look. Here we have an amazingly realistic tiger face. What is particularly awesome is the way the face appears to be snarling and growling, when in fact the of the woman is completely relaxed, apart from her eyes. Look closely between the teeth to see her closed lips to see what I mean. They're hard to spot. The way to locate them is to look at the slight break in the teeth to see where the top and lower lips meet. As for the appearance of snarling, it's the use of the white color on the cheeks which gives the illusion of being lifted up, as well as the black lines which appear to be moving in unison with it. Also look at the forehead and how it appears to be doing the same. That is not an easy look to accomplish. Here we also have an example of wearing a striped shirt to complement the tiger look. My only complaint, which I hate to make because it's so well done, is she left the bottom of the nose bare. Other than that, magnificent job. I really like this tiger makeup and body paint worn by Pixie Lott. It gives a great example of how cute and awesome you can look when choosing a tiger theme. Pixie actually has some makeup on her face, although it's hard to see because it's mostly covered by her hair. You can see just a touch it on either side of her forehead and cheeks. As for the tiger body paint, I love it. The simple use of orange in strategic spots works magnificent with the tiger stripes. She also appears to have used the bow in her hair to represent the ears of a tiger. Very cute. Finally, her choice of a black dress works very well, blending with her black bow, stripes, and shoes. 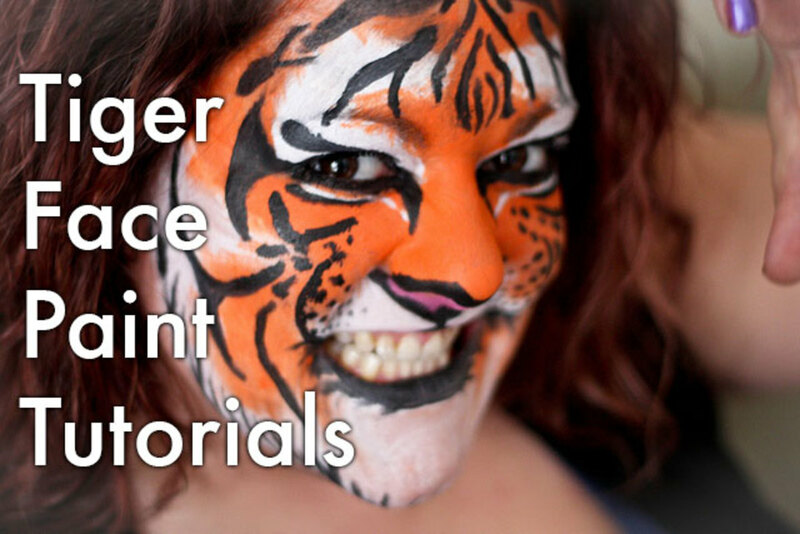 Now we'll take a look at several different video tutorials on how to go about making a tiger face using your makeup. There are several versions, including one of a rainbow tiger face and another of a couple’s costume. 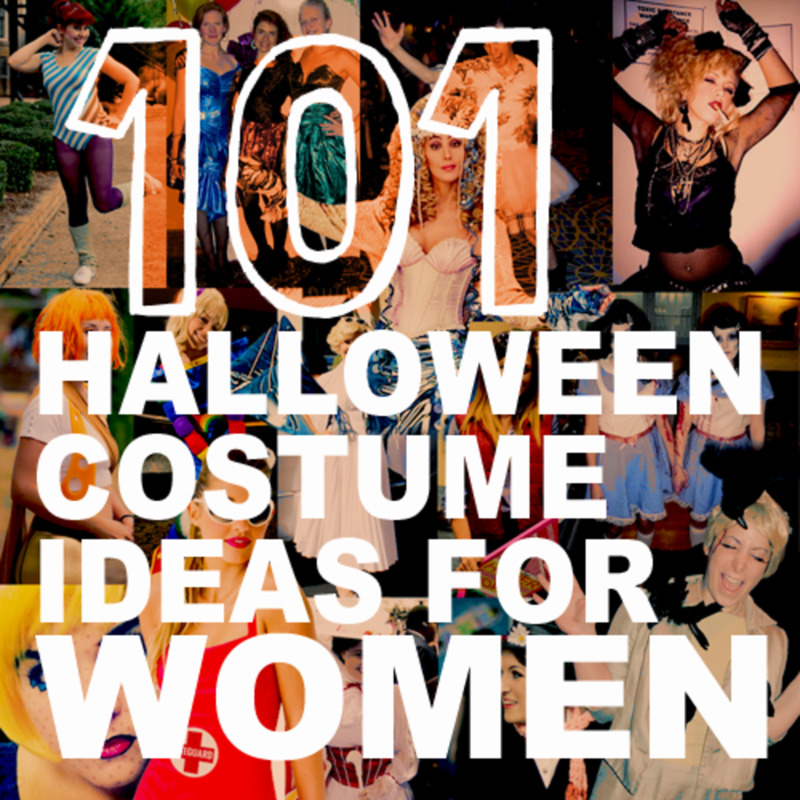 What a terrific bunch of inspirational photos and videos for those seeking a compelling look for a party, cosplay, or Halloween. The vibrant orange, black and white colors of the tiger offer a lot of designs and possibilities for those who like the creative challenge, but also simple lines and colors for those who want a great tiger face without an enormous amount of work. Whatever you choose, you won't be sorry, as evidenced by these wonderful inspirations from an extraordinary and magnificent giant cat.